The International Hot Rod Association (IHRA) Summit Sportsman Spectacular continues June 1-3 at the brand-new Xtreme Raceway Park in Ferris, Texas, with exciting racing action. The national contingency program is also available for all IHRA members who advance to the final two rounds each day. 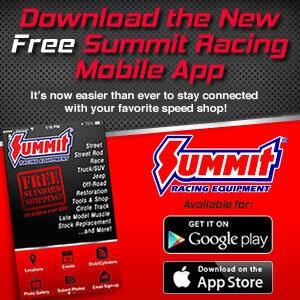 As part of its contingency program, Summit Racing Equipment will now pay Summit Racing gift certificates for the win, runner-up and semifinal positions. The weekend program includes a test & tune, racer appreciation cookout, and thrilling Scrubblade golf cart race. In addition, several prizes will be awarded to the best losing package of first through third rounds. IHRA Ironman trophies and large championship checks for event winners will be presented Saturday and Sunday. Runner-up finishers will receive prestigious medals as part of their prize package.